"The no login system allows you to participate easily. When you want to price things, use the calculator, for laying out your creative use the template maker, for admin use the special link... it's easy, brilliant and top quality everything. The tools offered by S B O give the designer or wholesaler everything needed to manage their orders from their desk or device. -20% price discount gives you an excellent profit margin. You order, large or small is 'bulk price grouped' and you receive the largest discount possible. No delay, instant upload to print queue means as a designer you get the lowest trade prices and fastest outputs. Adding 'Signs and Banners' to your service list is a great way to expand your creative and gain repeat customers. Signs Banners are short - medium term and your customers return often for new ones. Try them now. 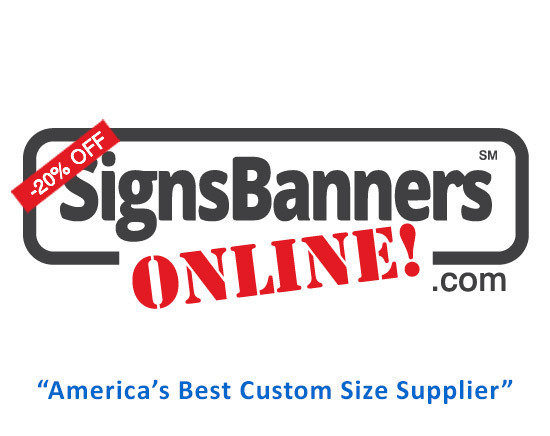 Simulating the way Signs Banners Online works, once you become familiar you'll quickly be able to order. Before committing to print, you can Instant Preview and online proof your line items. Payments are held in a neutral fund until you release them. You can order now, receive your goods and finalize payment release to the factory later. Notification of important stage milestones are sent to your inbox and special 'MyPage'. Materials, Inks, Printers and more are bulk purchased. This means for you as a designer or wholesaler you are receiving the best quality material. There are no delays and your individual order is 'price balanced' to give you maximum savings automatically. As a designer or wholesaler we understand you do not want S B O branding. Information is used for shipping labels only and excluding a small mark on the underside of eyelets, all products are un-branded for your benefit. The sample books are also un-branded so you may present these samples at meetings/interviews etc. Use the LIVE CHAT facility to ask questions, get help and learn from our factory support team experts. A few questions with other designers will quickly get you more customers. SBO support designers in many ways from online tools, templating designs, output and more. The Designer support page is a great place to start. The factory is on hand to answer any production manufacturing or capability options you need answered. It's a great way to supply your customers accurate information. Watch video tutorials, learn how to set up for grand format printing, technical reviews and more. The Design & Creative Professionals Learning Center is a great place to start. Made by designers for designers, the It's Easy campaign shows you how you can benefit by using S B O. Start now by clicking the menu's above to learn about the great products and services available.